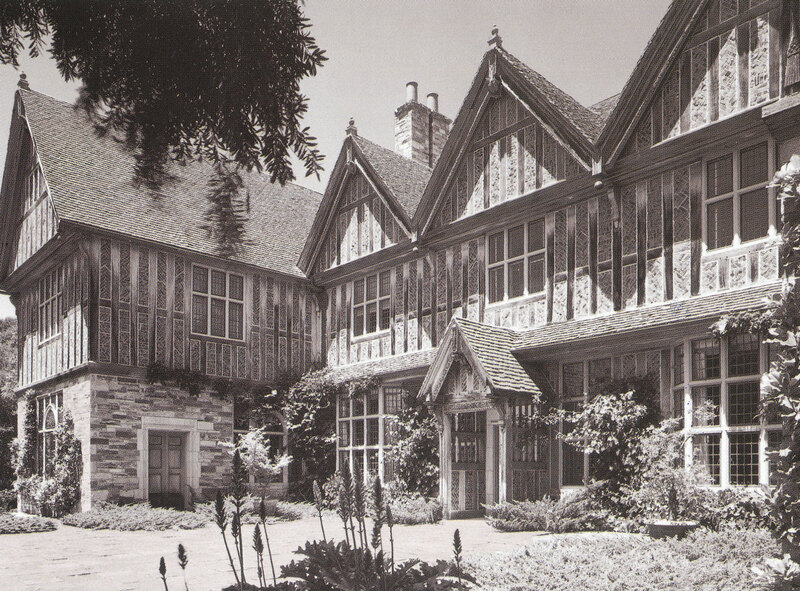 We’ll take a road trip from Chicago to Hillsborough, California, where David Adler designed his 1930 masterpiece, “House-on-Hill” for Celia Tobin Clark, an heiress to the Hibernia Bank fortune. Her husband was the owner of the Montana Mining Company. The home is located on the lyrically named Verballee Lane. If you look at this gallery of photos from a 2016 real estate listing, you’ll see that Adler didn’t seem to exhibit loyalty to any particular architectural period when designing this house. The Tudor influence is certainly present in the exterior, but the interior is a fantastic amalgam of styles. Somehow, it all works. He probably had a marvelous time in designing the home in the glorious San Francisco area. At one time, the 35,000-square-foot home rested upon 400 acres. In 2012, the estate was offered for sale for $29 million. As of 2016, the price was lowered to $23 million. This post is dedicated to the memory of my beloved friend Bunky Cushing for his enduring support, as well as his assistance in locating this vintage photo of this estate. If you would like to see some interior and exterior photos of the refurbished “House on the Hill”, you will find them on my website, http://www.eichlerphoto.com, in the portfolio entitled recent work. It was a real treat to see this house in person and to be able to photograph it. I only wish I had more time and access for this.